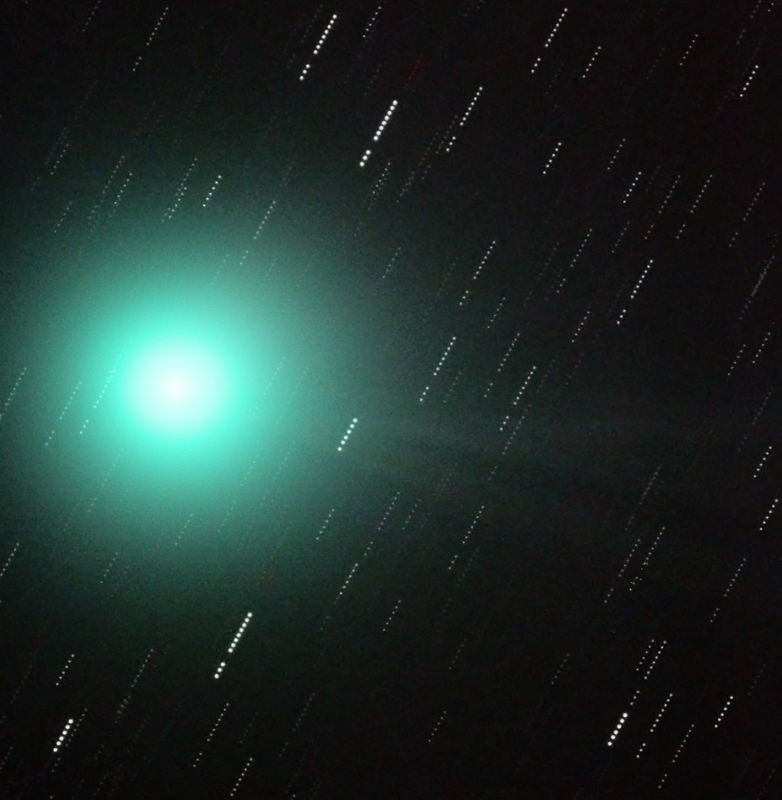 Adrian Brown took this image of Comet Lovejoy on the 10th January 2015. It is comprised of 11 x 60 s exposures taken with a luminance filter (with a 60 second delay between each camera exposure to create a star trail with gaps) and 11 x 30 s exposures binned 2x2 for each RGB filter. Adrian used a Skywatcher 80ED Pro refractor and ATIK ATK16-HR camera. Image © Adrian Brown. 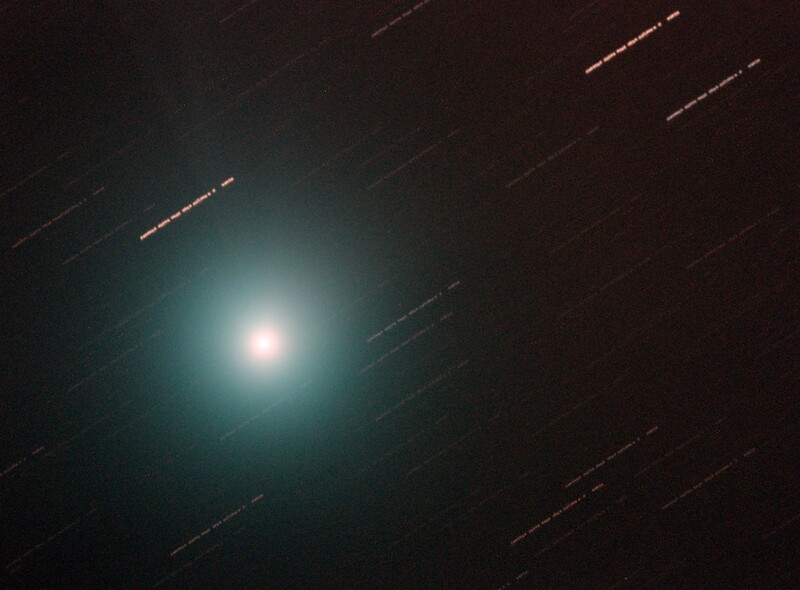 This image of Comet C/2014 Q2 (Lovejoy) was taken on the 10th January 2015 by Peter Branson. The comet was moving between the constellations of Orion and Taurus and just north of the constellation Eridanus. This image is made up from 33 two minute images. The images were taken with an ATIK 314L+ colour CCD camera attached to TS Photoline ED102 refractor telescope with field-flattener and Hutech IDAS light pollution filter attached. The telescope was guided using an Orion Mini autoguider controlled by PHD software. The images were stacked using the comet head as the 'stacking point' and further processed with curves and levels in Nebulosity. Peter has also produced a short video sequence made up of 34 of these JPEG images collected together in Windows Live Movie Maker - with each image shown for 0.5 second. The 1 MB WMV video may be downloaded here. Image and Video © Peter Branson.